Posted in Accidents by Mikhail Voytenko on Aug 15, 2015 at 07:29. 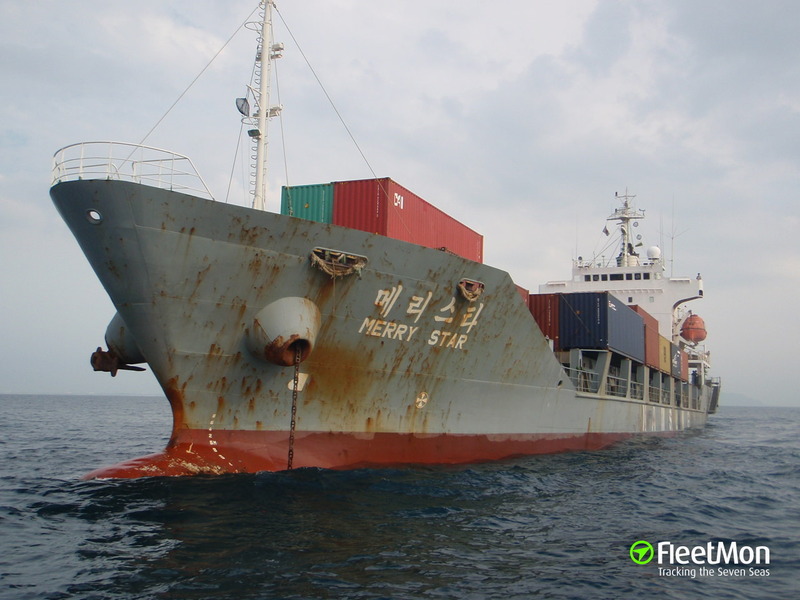 Container ship Merry Star ran aground off Hakata port, Fukuoka, Kyushu Island, Japan, Tsushima Strait, on Aug 11. Reportedly vessel suffered hull breach with ensuing fuel leak. As of 0700 UTC Aug 15 vessel was still aground, with Japanese tug or rescue boat Taikou Maru standing by.